Internet marketing is any marketing strategy that takes place online. Also referred to as online marketing, it encompasses a variety of marketing forms like video advertisements, search engine marketing and e-mail marketing. It is the opposite of offline marketing, and can also fall under digital marketing. 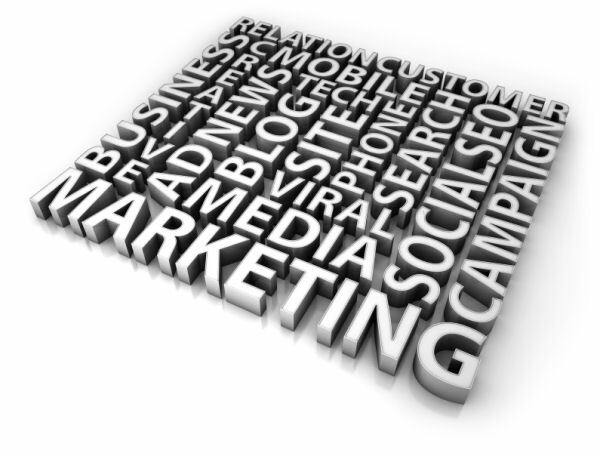 Internet marketing needs a good approach in areas of design, development and advertising. A company with a total web site marketing plan will have more success online than one that has just designed a web site without thinking of how to market their company through it. When you think of marketing, the different forms you come up with are mostly outbound marketing (also called traditional marketing). In fact, the majority of companies today are using different types of outbound marketing to reach their potential customers. Outbound marketing includes any marketing efforts that are taken to introduce a product or service to someone who isn’t looking for that product or service. Some examples are cold calling, sending newsletters, billboards, and banner ads on different web sites. One of the less strategic types of marketing, referral marketing relies on a company’s customers to refer new customers to that company. Also called word of mouth marketing, this is a more spontaneous way of receiving new business, and can not be solely relied on because results aren’t very predictable. However, word of mouth is still a powerful part of a company’s efforts to bring in new business, especially in the social media community where communication travels freely. Any type of business, whether an organization, individual, government or other institution that markets to other businesses is involved in business to business marketing. Since B2B marketing involves companies trying to sell mass quantities of product to one another, there is a more personal relationship that needs to be established between businesses. If your company sells to other businesses, your marketing efforts will most likely be more direct. 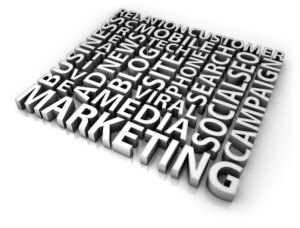 Business to consumer marketing campaigns try to reach a category of people that will be likely to purchase their product or service. The marketing efforts the company takes should be more broad than B2B, which focuses on specific companies. B2C marketing can involve different marketing techniques such as door to door marketing, promotion marketing, newspaper marketing, television marketing and radio marketing. In today’s marketing world, B2C Internet marketing is becoming more important to reach consumers. Along with Internet marketing, mobile marketing is part of the newest groups of marketing activities. Companies have been experimenting with the certain ways to reach consumers through their phones, especially with the rise of Apple’s iphone. Some ways to marketing a product or service through a mobile phone include SMS marketing, in-game marketing, banner marketing on different web pages and location based marketing. A form of direct marketing, telemarketing’s focus is on reaching consumers by phone. Most of what we thing of as telemarketing is cold call marketing, which is unpopular and has lead to laws being created against it. However, telemarketing can be effective if the right person is reached on the phone at the right time. Most people receive large quantities of marketing material in the mail, which is considered direct mail marketing. Companies will send paper mail with promotions or other information to a list of addresses, usually in a common geographical area. This form of marketing is also called junk mail by some, because the customers receiving the mail aren’t expecting it and usually don’t want to open it. Database marketing is similar to other types of direct marketing, but the focus is more directed towards analyzing data. Companies try to narrow their marketing efforts down to certain groups of people, and they use database marketing to analyze statistics like name, address, or sales history, in order to create the most accurate model possible. The goal of personalized marketing is to create a unique offer for each individual customer. This form of marketing doesn’t work for every company, but certain ones can capitalize on their unique products and customer demographics to market to individuals. With the Internet becoming a more popular place for marketing, companies are finding that personalized marketing is affective in cases when they can track a customer’s specific interests and send them more information for future suggestions. This list should give you a good idea of different ways companies can market themselves to consumers or other companies, but there are still more types of marketing out there. If you think of any, let us know and we’ll add it to the list. Depending on your company and the industry you are in, you will definitely choose different kinds of marketing that will produce the best results for you. No matter which type of marketing you want to use for your company, Design & Promote can help you research and implement a marketing campaign that will allow your company to win the consumer’s attention and hold the search engine results. Contact us today to explore more ways Design & Promote can help market your company.